We are used to seeing barcode labels on just about every product; their use has grown to unprecedented heights. We now take this simple series of lines for granted and we have come to rely on it, particularly in business. Just as barcode labels have had a huge impact on the market; custom labels are also now starting to make an impact into business lives. We have seen how custom barcode labels can and do provide the label with the all important brand identity, this has, over a period of time, lifted the humble barcode from being a functional item to one which is sending out a marketing message. One thing that is sure to that your product is noticed by customers and that is by using an attractive and well designed customised label. This will create awareness, the most important thing when establishing a brand identity. Well customised and designed labels are going to be noticed by customers. This is sure to increase the sales for your company ensure that your company profile is at the forefront. With our custom label service we can create the exact label you require, tailored to your needs, specification and run size. 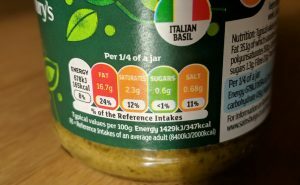 Labels are everywhere that you look, they can be seen on food items, clothing, parcels we receive, they importantly identify a product or relay information of some description. This is when a custom label becomes an important part of your company’s image, the size, shape colour, logo printing, all vital elements on a label.